I imagined a world where you walked into one of my paintings. 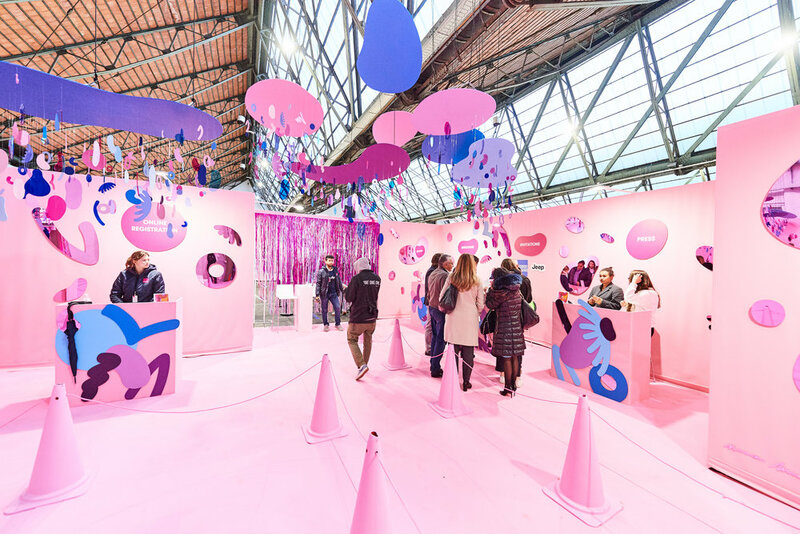 With ‘Mister Pink is angry’ as a starting point for this immersive installation it was obvious the main colour had to be pink. For me pink is the happiest, most optimistic colour. I wanted the viewer to be part of the installation. Besides being submerged in a pink world (with some blue accents here and there) he/she was an active part of it. From your own reflections in the mirrors to the movement you caused in the little shapes, this Installation #1 was all about you (the viewer) as without you it wouldn’t exist. Special thanks to Affordable Art Fair for this amazing opportunity and for believing in me. Shoutout to @geraldinehubot and @lou_malfait for making this possible. Many thanks to @fabermakerspace and @pyrasied for the support in the development of this installation.